Glenna is in her first year of coaching club volleyball, but has an impressive resume as a junior and collegiate volleyball player. Glenna started playing volleyball in high school for Cherry Creek High School. 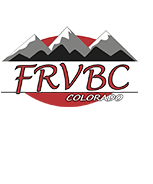 Glenna is a FRVBC alumni; played for Front Range for three years. Glenna then went on to play collegiate volleyball at Colorado College. While at CC Glenna was a two-time All-Conference player. Her senior year her team was Conference Champions and was ranked as the number one Division 3 team in the nation. They also set a record for the winningest volleyball season at Colorado College. In 2017 Glenna played for the Team USA Division 3 team on their Brazil tour. We are excited to welcome Glenna to our coaching staff for the 2018-19 season as Head Coach of 12-2 Rose!